TOKYO (AFP) - For connoisseurs of eye-wateringly priced fruit, Japan is the place to be. People often buy top-notch fruit such as melons for gifts, and virgin batches can fetch extraordinary prices, making national headlines and creating a lucrative market for fruit boutiques despite Japan's sluggish economy. Why are the Japanese willing to fork out so much money for their fruits? That's because the first batch of fruit and other foods is considered good luck in Japan. Here are four fruits that can command prices several times the price of a luxurious meal. This bunch of 26 Ruby Roman grapes was the highest-priced at this year's first auction in Kanazawa, 300km north-west of Tokyo. The previous record, set last year, was 550,000 yen (S$11,170). Each berry weighs at least 20g and is the size of a ping-pong ball, said the local board of agriculture. 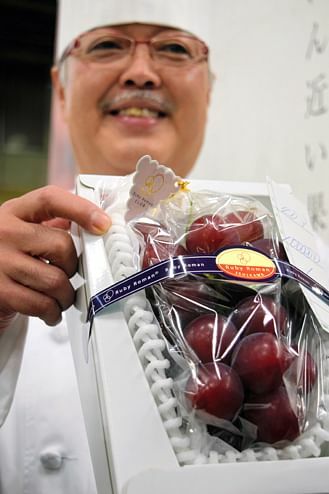 Winning bidder Masayuki Hirai, the head chef of the Nikko hotel in Kanazawa, told media that he was under strict orders to secure the grapes, as local tourism chiefs are eager to capitalise on a new train line to the area. "With the opening of the Hokuriku bullet train line, I was told to win at any cost," he said. 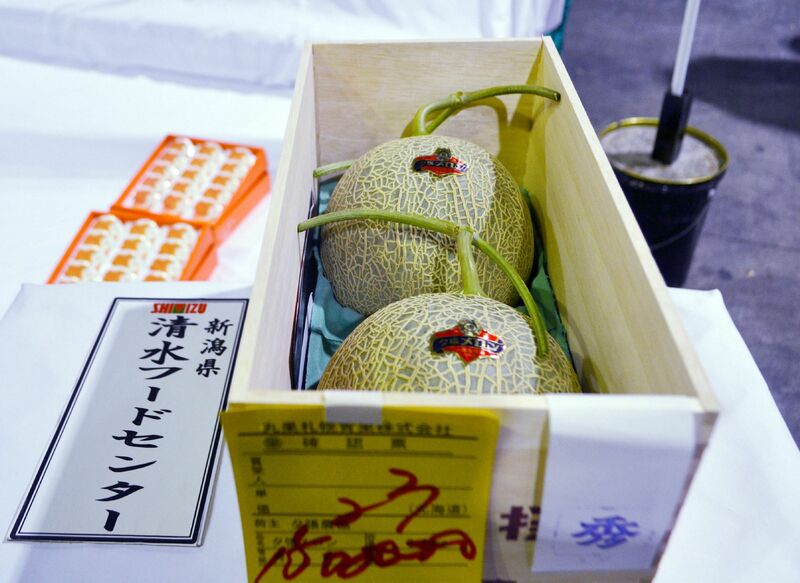 In May 2018, a pair of Yubari melons from Hokkaido - considered a status symbol - was snapped up for a record 3.2 million yen (S$39,236). The figure - enough to buy a new car in Japan - topped the previous record for the luxury fruit, which fetched 3 million yen in 2016. In 2014, the melons were sold for 2.5 million yen ($27,900) a pair. The price of yubari melons varies depending on their size and class. One can go for more than US$100 in Tokyo’s department stores. A Japanese department store in Fukuoka, Kyushu’s largest city, thought nothing of shelling out 300,000 yen last year for a pair of pristine mangoes grown in southern Japan. Mangoes sold under the Taiyo no Tamago (Egg of the Sun) label are selected based on strict criteria. Each must weigh more than 350 g and have a high sugar content, according to the Miyazaki Agricultural Economic Federation. Square and even heart-shaped watermelons are all the rage in Japan. Over at the Shibuya Nishimura luxury fruit shop in downtown Tokyo, a cube-shaped watermelon, about the size of a baby’s head, sells for 12,960 yen.